Paradise beach holidays at the Koh Chang Paradise Hotel. The Koh Chang Paradise Resort and Spa is on the beach front of Chai Chet village. To the center of Chai Chet it’s just a short walk. The holiday village in Thailand offers restaurants, bars and shopping possibilities for tourists who want to explore the area around the Koh Chang. The beach is a beautiful spot with white sand and coconut palms for tropical beach vacations and honeymoon in Asia. Paradise Resort & Spa has good appointed rooms and luxury suites with sea view and flair. 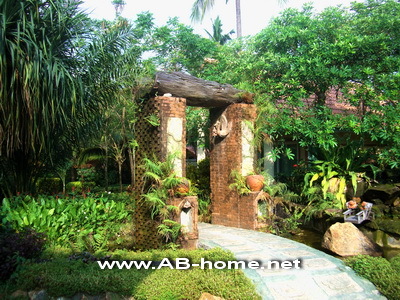 Here you can enjoy the light hearted island life and the natural beauty of this island in the Gulf of Thailand. The beach in front of Paradise Resort Ko Chang is a popular place for jogging, walking and make beach sports. Some people like to relax on the Paradise Hotel pool, take a massage or lie on Chai Chet beach and read a book. 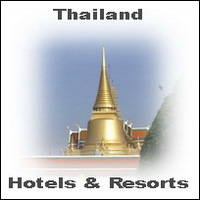 Here you can book Koh Chang Hotels and Accommodation.